Start preparing for the holiday season with these office gift-giving tips to help you select the perfect items for your colleagues. Save yourself some time by learning and adhering to the gifting rules your office enforces before you start your shopping. Make sure the appropriate parties are aware of gift ideas and whether or not they’re within regulation. 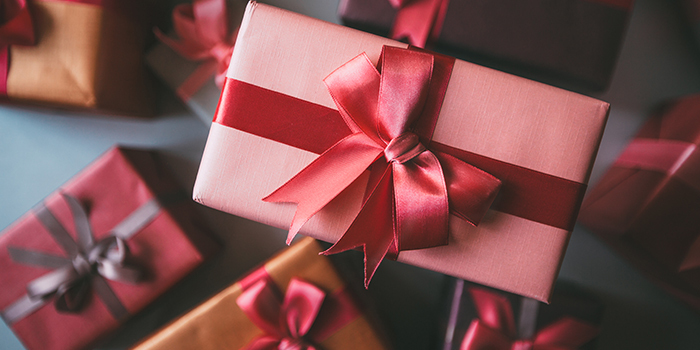 While it might seem tempting to try and impress your coworkers with the perfect gifts, going over budget can be a fatal mistake for your holiday season. Keep spending in control and let team members know they are all valued equally. When it comes to group gifts, you can’t go wrong with a gourmet food basket or tower that the whole office can enjoy. Just make sure you check for dietary restrictions. If giving gifts individually, be sure all gifts are of equal value. Even though festivities are abound and fun is being had, gifts still need to be appropriate for an office environment. Avoid gag-gifts or gifts based on inside jokes with close coworkers in favor of sincere, thoughtful gifts. Don’t give anything you wouldn’t give to your boss! When shopping for individuals, try and find gifts that not only match their personality but can also be used regularly. Customization and functionality are key here. You can’t go wrong with customized products tailored to the recipient’s tastes. If you’re not buying gifts for everyone, you should be sensitive of the feelings of coworkers who didn’t make your list. In this situation, consider giving gifts away from the office, such as at a happy hour or lunch, to avoid unnecessary awkward situations or hurt feelings. Keeping these tips in mind will ensure that your gift-giving efforts will be appreciated all throughout the season. Start shopping early to select the most thoughtful gifts and create the smoothest possible holiday experience!